I’ve been in Ireland for 3 days now, and its been fantastic so far. The folks at I.T. Carlow have made us feel very welcome. Today we learned what the project was going to be, and did our site visit. The details have changed a little so I’m posting to share the exact specifications. Since many of the units in Tinteán are the same, any strategies we come up with for one building can be applied to others. There are several units at this location. This project really excites me. Building a PassivHaus makes sense, and the energy savings will pay for the additional costs incurred in just a few short years. This is great but what about the houses that already exist? We have an abundance of homes that will remain standing for many years. Whats saddening is that the majority of people who renovate their home do so to improve the appearance, and almost none do so to improve the efficiency. Only by developing strategies and best practices for upgrading existing buildings can we make a real impact in residential energy use. The Irish government is light years ahead of Canada in this regard. 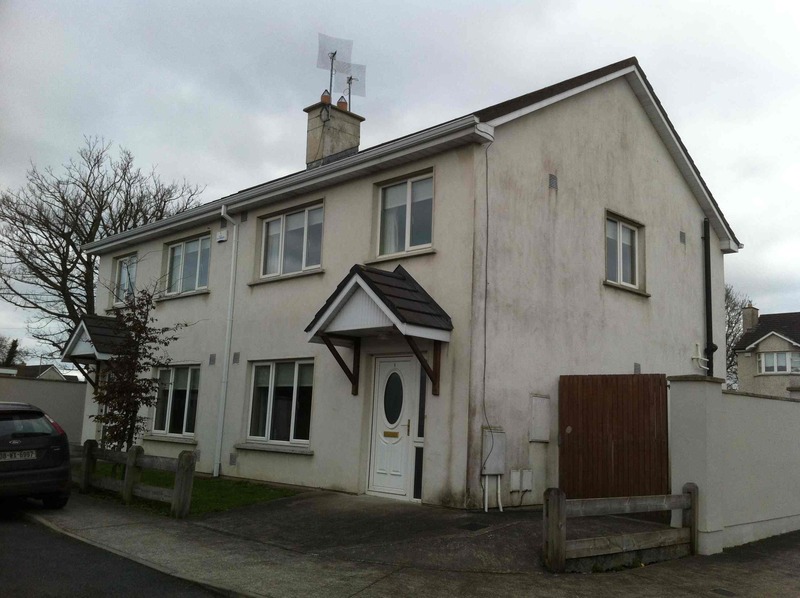 They have even gone so far as to publish a manual on how to take a typical Irish home and upgrade it to meet the PassivHaus standard (http://www.seai.ie/Publications/Renewables_Publications/Passive_House_Retrofit_Guidelines.pdf). If each home owner had to develop their own procedure it would be a very expensive and risky task to try to upgrade, but by developing best practices the risk element is gone. Each nation has their own style of home construction, and their own materials of choice. Since PassivHaus is a German standard, it needs to be adapted to fit with Irish standards. Our project will run for 3 weeks, and we will be pressed to deliver great results in such a short time period. I’m up for the challenge. I have broken our project down into several steps, and I’ll develop a work breakdown schedule and a GANTT chart to keep the project on track. The project will be done in teams. I’m working with Karen Brown from Holland College in PEI Canada and Deirdre Cahill from Ireland. We all have unique skills to bring to the project and I think its going to be a wonderful experience. I really feel that this will be one of my best projects. I feel passionately about upgrading our existing buildings, and think this is a worthy cause. I can’t wait to see our results, and what the other groups come up with.